Galena Country increases hotel/motel tax revenue three years in a row! Galena and Jo Daviess County is an area captured in time. It’s unique 19th century downtown draws visitors from all over the world. 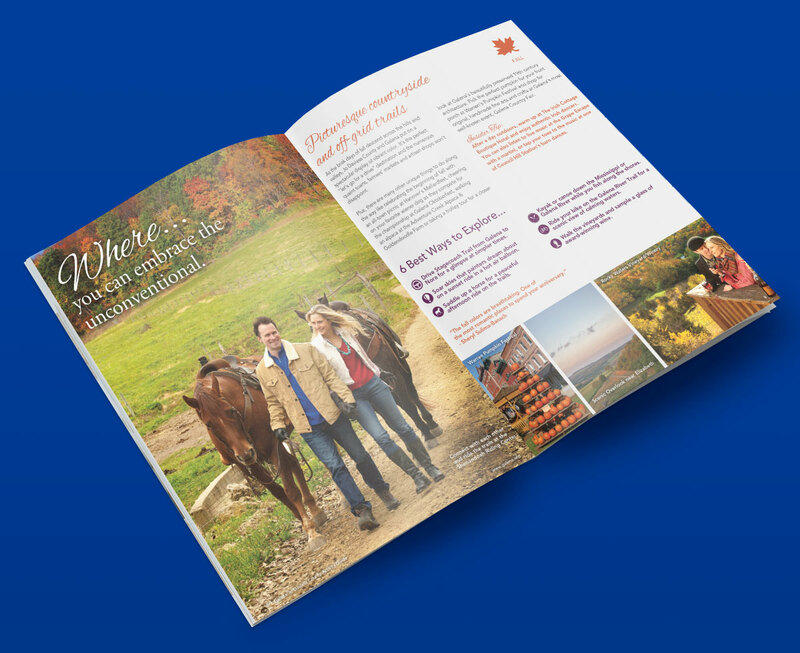 Wanting to help tell the story of what a visit to Galena Country is truly like, Galena and Jo Daviess County CVB came to McD with the goal of giving their marketing a complete overhaul. Galena is well-known in the Midwest as being a great destination to get away to and experience a step back in time, but Jo Daviess County also has some amazing treasures to discover. McD was tasked with helping visitors see Galena Country as a whole and help push them to explore attractions and properties both in town and throughout Jo Daviess County. In the end, our efforts paid off because we not only increased hotel/motel tax revenues in Galena, outlying properties in Jo Daviess County realized a higher percentage of the overall growth! Over a three year period, McD created and implemented numerous new marketing strategies including a new tourism website, an online magazine, print & digital advertising campaigns, eblasts, social media videos, and an online directory – all with the goal of boosting visitor numbers and increase motel-hotel tax revenue for the entire Galena and Jo Daviess County. 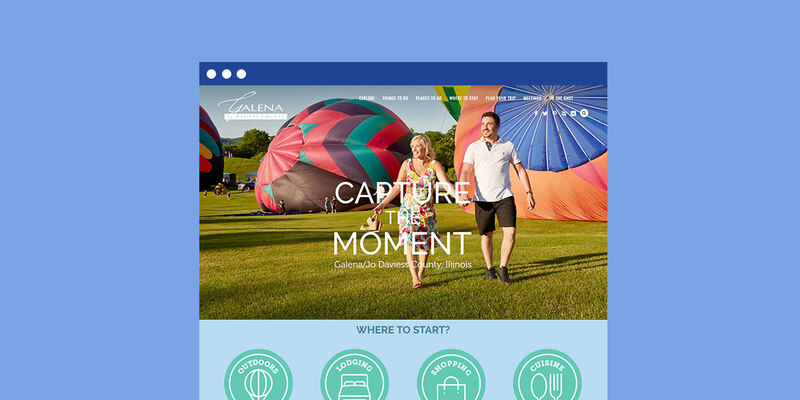 Wanting to freshen their website and make it easier for visitors to plan trips, Galena and Jo Daviess County came to us with several key objectives in mind. 1) Create a great looking site that is easy to navigate. 2) Make it easier for visitors to find activities and provide trip planning tools. 3) Increase viewability on mobile devices. 4) Introduce landing pages that will attract specific niche target audiences to the destination. 5) Integrate a highly engaging online magazine to boost audience engagement and education. 6) Drive ads to the new site for improved performance and click-through ratios. New “Plan Your Trip” itinerary pages for individuals to search based on interest. Enhanced “Meetings” and “Tie the Knot” sections to help guide and draw more businesses and couples to consider making Galena and Jo Daviess County their destination of choice. Comparing before- and after-launch traffic, the website made an immediate impact. The number of number of visitors increased by 115.76% compared to previous year (81,912 vs 37,964), unique visitors increased by 87.02% (58,013 vs 31,020), and mobile traffic EXPLODED by 656.6% (69,736 vs 9,217). Page views per session also doubled, averaging 7.61 pages per session the months immediately following launch. Plus, bounce rates dropped incredibly low to 8.74% in the 3rd quarter of 2016 (1st and 2nd quarter bounce rates were at 43.57% and 36.18% respectively). 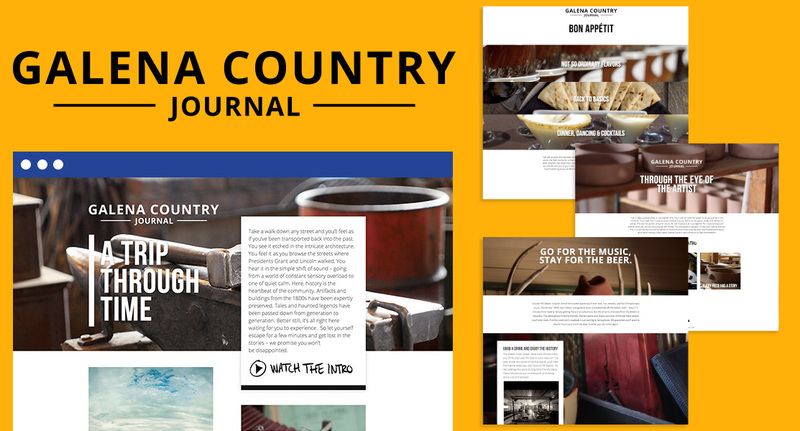 The Galena County Journal – a new online magazine for the County - was also a huge success. 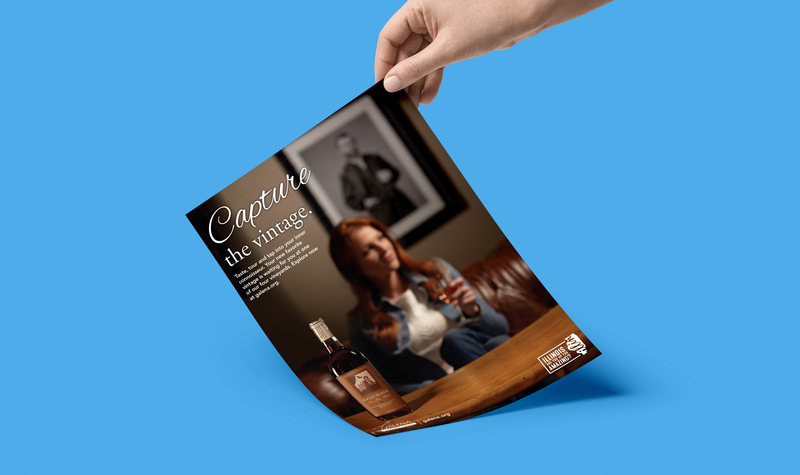 McD developed three issues consisting of 9 articles, 12 videos, a 13-page microsite and tons a striking custom photography, all telling the story of Galena and Jo Daviess County. These videos have been totaled over 20,000 views and helped draw hundreds of new unique visitors to their website. A B&B featured in the video also received direct bookings as a result of the online magazine. Additionally, the buy-in from businesses in the County spiked, many of which contacted the local CVB and asked how they could be part of the magazine in the future. MCD also created a new print and digital campaign that tied to the imagery featured on the website. This campaign positioned Galena and Jo Daviess County as a setting where you make lasting memories with friends, family and even new people you meet along the way. High-quality photography with professional models painted the picture for visitors to see themselves in Galena Country. Millions of ad impressions and thousands of ad clicks to the website resulted in more booking for the destination. An eblast was also created to promote a Girlfriends Weekend which received a 10% open rate. We also produced a guide that told truly compelling stories from the area. Fresh copy and enticing photographs – some of which were visitor-approved social media photos – helped shape the area as a four-season destination filled with history, world-class cuisine, amazing outdoor adventures and plenty of shopping. 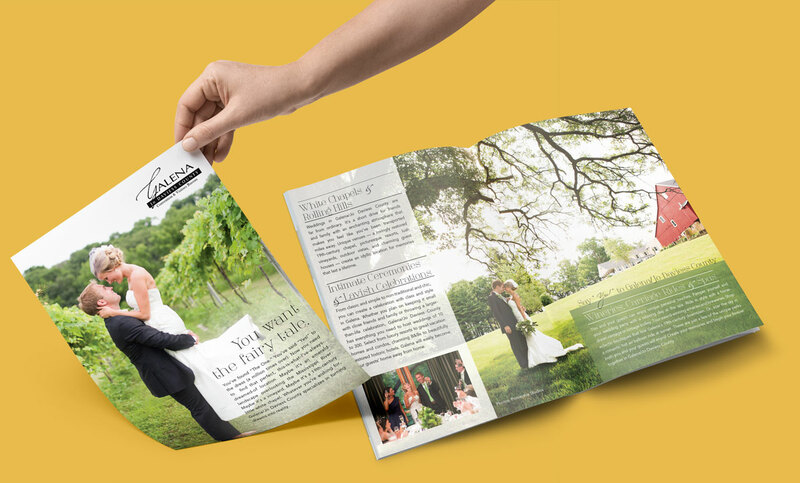 MCD created a magazine insert for The Knot, to help establish Galena/Jo Daviess County as a premier location for a destination wedding. Utilizing a fairy tale approach, the insert pictured what brides and grooms can experience by choosing Galena for their wedding day. Professional photos from a Galena photographer further helped couples visualize the backdrop that Galena and Jo Daviess County can provide, highlighting the area as an ideal location for both lavish and intimate celebrations.